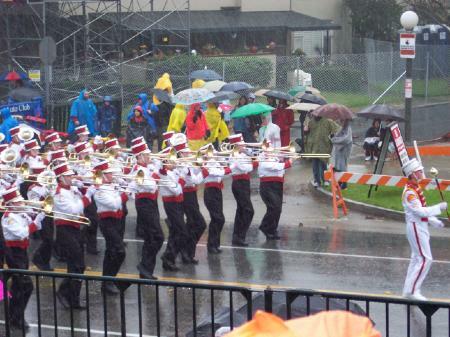 The parents got together after the Rose Bowl parade and posted their photos on the web. This is the best one of Scott, I think. From his point of view, he's the seventh fron the left side in the front row.